Stock changes quick, please call. For PERSONAL applications, please add the VAT at the prevailing rate. until the end of the contract. Need a flexible car lease? Excess Mileage: £0.45 plus VAT per mile. Please visit Toyota's website for a specification of the chosen model. The models do change on a monthly basis so please do confirm this with your sales person at the time of ordering. Short Term Car Leasing Ltd cannot be held responsible for any manufacturer changes. Please add me to your Mailchimp mailing list, which I can subscribe at anytime. 5 month fixed short term contract hire based on an initial payment and followed by 4 monthly payments taken by Direct Debit starting approx. 1 month after delivery, then every subsequent month until the vehicle is returned. Changing the payment date maybe possible, please contact our accounts team who can advise further. This is a fixed contract and cannot be terminated early without penalties and cannot be extended without written permission before the end of the agreement. Should the vehicle remain out longer than the contract period, payments will still be payable for the time the vehicle has been in your possession. The vehicle must be returned in good condition, any repairs must be carried out by a manufacturer approved bodyshop or supplier and guaranteed. The vehicle must come back within the agreed contracted mileage and additional mileage will be charged as per the Excess Mileage charge on the agreement. For more information about our Return Conditions, please see the section below. Mileage Restrictions: Vehicles from this supplier have a mileage restriction of 7,500 miles over the 5 month contract. Should you exceed the excess mileage by more than 10% our agreements may require you to pay for loss of value or even purchase the vehicle. If your mileage requirement is over this, we suggest you look at Short Term Flexible where we can offer up to 6,000 miles per calendar month. For more information, please visit our Short Term Flexible Leasing page. Contracts: Available for Business Users Only. Figures Exclude VAT. Personal Contacts are available on request please add prevailing VAT. The amount of VAT you can reclaim depends on your business VAT status. This is usually 50% for rental elements and 100% for maintenance elements. Rentals will adjust if a change in VAT rate changes during the agreement - You will never have ownership of this vehicle. Figures correct at time of publishing of 17th April 2019. + E&OE. Short Term Car Leasing Ltd offer competitive fixed and flexible vehicles with hundreds to choose from. Whist we try and remain competitive our deals change on a daily basis should you get a cheaper quote from another short term vehicle provider please send over the official quotation and we will do our best to match the offer. We also offer conventional contract hire and leasing on 24/36/48 month contracts and have over 12 different funders to get quotations from, all of which have different levels of support, discount and calculation of residual value of the vehicle at the end of the term. We may sometimes be more expensive than quotes you have received from other contract hire and leasing brokers or even dealers, but we will do what we can to get the same price. If we are more expensive, please do not hesitate to send over your official quotation, we will then pass this onto the funders to see if there is anything else we can do. If we can't we will be upfront and tell you, but we are always willing to try. AdBlue: Adblue is used in many modern vehicles to reduce NOx from your Diesel Car or Van. AdBlue is very easy to use and is classed as a harmless substance, generally you top AdBlue up in a dedicated tank. Please note that AdBlue is classed as consumable. Diesel Particulate Filter (DPF): DPF's have been fitted to most diesel vehicles to help meet strict European Emmissions standards, for them to work efficiently the vehicle needs to drive at a steady speed for at least 15-20 mins, to allow the filter to heat up enough to regenerate. Derivative: Manufacturers create so many different models of their vehicles, from the very basic to the fully kitted out models that include just about everything. The specification can change on a monthly basis of these models, which can make this website difficult to keep up to date and the models that we have on order may differ from those advertised on the manufacturers website. Body Type: There are various different body types, we generally have a set list we use to describe these vehicles; Hatchback, Estate, Saloon, 4x4, LCV, Coupe, Cabriolet/Convertible, although a few more may slip through from time to time. If in doubt call the Short Term Car Leasing team. Transmission: Generally we only publish two types of transmission on our website, which is Automatic and Manual, although their are various different types of automatic transmission such as TipTronic, CVT and DSG, its easier to keep to what everybody understands. CO2 Emissions: This is the carbon dioxide emissions that are emitted from your car's exhaust system. The figure we state has been provided by the manufacturers feed. This may differ depending on the cars specification. Please confrim with the salesperson to find out the correct CO2 emissions for the vehicle you are going to be ordering. MPG (Miles per Gallon): The figure displayed shows the manufacturers combined fuel figure in miles per gallon (mpg). The combined figure is for the urban and extra-urban cycle together and may not represent real world driving conditions. Fuel Type: In recent years, just Petrol and Diesel were available, now we have electric cars, hybrid cars and hydrogen fuel cell vehicles coming into the mix. At the moment if the vehicle is a Hybrid we will just state Hybrid in the fuel type, we may however change this in the future. Maintenance: If Maintenance is included within the price, then you will be covered for all servicing costs uring the duration of the contract. The maintenance programme does not cover accidental damage, vehicle misuse or warranty issues. Tyres: If Tyre cover is included within the price, then all naturally worn car tyres are replaced under this agreement. This does not cover punctures or accidental damage to the tyres. Should the tyre be replaced due to this, then this will be charged accordingly. 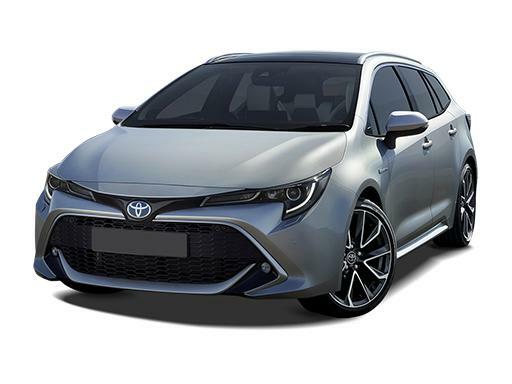 Non-Status, Bad Credit and New Business start up applications are welcomed on this Toyota Corolla Estate 1.8 VVT-I Hybrid Icon Tech CVT over the 5 month period. All applications are looked at on a case by case basis with the majority of customers being accepted on standard terms so long as affordability and stability can be shown. For those who do not meet the criteria our underwriters may ask for a higher initial payment, a higher monthly rental, a guarantor or a form of indemnity or even a bond. Both businesses and private individuals have the option to accept or decline the terms offered. 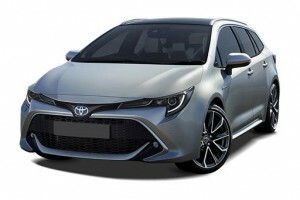 These Non-Status terms are not available on conventional contract hire and leasing options that we offer and is purely for our Short Term products available provided by Short Term Car Leasing Ltd and it's connected businesses. You will need to have Fully Comprehensive Insurance and to be insured as a lease vehicle, not as a personal vehicle. You must let your Insurance Company know that as vehicle is leased, and you are not the legal owner of the vehicle. Return Conditions on Short Term Minilease's differ from those vehicles on traditional contract hire. Therefore, we like to be transparent about how the vehicle needs to be returned. Please visit our Return Conditions page for more information and see our latest booklet on returning your vehicle. Corporate Accounts are welcome, giving you access to our full range of flexible lease vehicles with Next Day Delivery (Where Applicable) and our Minilease program. We also offer Car Subscriptions on a flexible basis, please click the highlighted link for more information. We can deliver the vehicle to your workplace, employees houses or even provide an airport Meet & Greet service. All drivers are smartly dressed and carry full UK driving licences. Fleet insurance policies are accepted and all payments can be made via Direct Debit for easing accounting. Call the team on 0330 330 9425 for more information. We offer a range of short term flexi-rent and Short Term Car Leasing options for Expats and those visiting or working from overseas to the UK. Where possible, we will arrange for the vehicle and we can even offer an airport meet and greet service at all of the aiports around the United Kingdom. Please let us know if you fall into this category as the process of application differs from ths usual. For more information about Expat / Overseas Car Hire and Short Term Car Leasing please call the team on 0330 330 9425. We offer a wide range of ex-fleet & ex-rental vehicles for sale on our Used Car website. Due to the amount of vehicles we have access to, the website contains the makes and models with no specific details listed. We offer a Traffic Light Account Management system, this is to ensure that our customers accounts are maintained correctly. For more information on our Traffic Light system please visit the relevant page.